… and a 100% money-back guarantee! 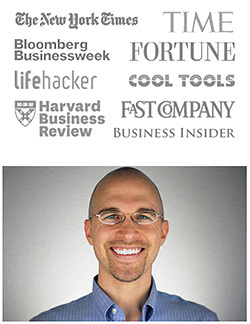 you'll gain at least $250,000 in REAL-WORLD RETURN on your investment by applying the principles and tactics you've learned, simply return it any time within 30 days for a full, no-questions-asked refund. 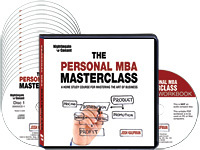 Please send me Josh Kaufman’s The Personal MBA Masterclass: A Home Study Course for Mastering the Art of Business - including the 16 CDs plus PDF Workbook - for just $149.95, which is $50 OFF the regular program price. Take advantage of this limited-time special discount now. At Nightingale-Conant we stand behind our programs 100%. 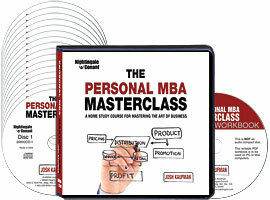 If you decide at any time within the next 30 days that your CD or DVD program is not for you, simply return your selection(s) for an exchange or a refund of the product price.